The Qur’an is the literal word of God, The Almighty (Allah in Arabic), revealed to Prophet Muhammad (peace be upon him) through the Angel Gabriel. The Qur’an is “a guidance for mankind… and the distinction (between right and wrong).”Qur’an 2:185 It provides direction to help mankind judge between right and wrong, without which, man would surely be in loss. 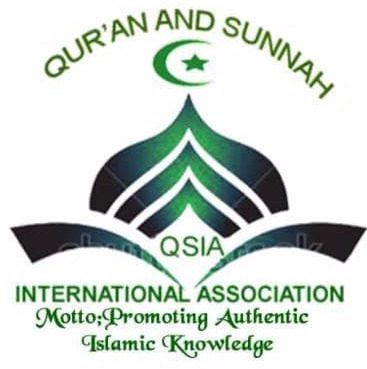 The Qur’an is the last scripture revealed by Almighty Allah (God), confirming what little truth remains in parts of previous scriptures and refuting and correcting fabrications and additions which have crept into current day versions of such scriptures. The Qur’an was revealed to Muhammad (peace be upon him) and exists only in the language in which it was revealed – Arabic. However, the translation of the meaning of the Qur’an is available in many languages. The Qur’an was not sent down as a complete book in one revelation; rather, the revelation spanned over a period of 23 years. For this reason, it is essential to know in what circumstances the verses were revealed, in order to have a proper understanding of the Qur’an; otherwise, its teachings could be misunderstood. How do I know that it is from God? The Qur’an is the only religious sacred text that has been in circulation for a lengthy period, and yet remains as pure as the day it was revealed. Nothing has been added, removed or modified from it, since its revelation over 1400 years ago. Not only has the Qur’an been preserved in written form, but also in the hearts of men, children and women. Today, millions of people have memorised the Qur’an from cover to cover. The Qur’an does not contradict modern science but rather, supports it. One of the most remarkable aspects about the Qur’an is that it contains many verses which accurately describe natural phenomenon in various fields such as embryology, meteorology, astronomy, geology and oceanography. Scientists have found its descriptions incredibly accurate for a book dating back to the 7th century. The Qur’an gives a detailed description of the development of the human embryo. These details were unknown to the scientific community until recent times. The Qur’an states that the astronomical objects (stars, planets, moons etc…) were all formed from clouds of dust. Previously unknown, this fact has now become an undisputed principle of modern cosmology. Modern science has discovered the existence of barriers that allow two seas to meet yet maintain their own temperature, density and salinity. These signs of God were clearly stated in the Qur’an more than 1400 years ago. Ever since its revelation, no person has been able to produce a single chapter like that of the Qur’an in its beauty, eloquence, splendour, wisdom, prophecies, and other perfect attributes. The people that rejected Prophet Muhammad (peace be upon him) failed this challenge, eventhough they were extremely eloquent in the language of the Qur’an. This challenge remains unanswered to this very day. When people write, they are bound to make mistakes such as spelling and grammar, contradictory statements, incorrect facts, omission of information, and other various errors. The Qur’an has no contradictions whatsoever – be it in scientific explanations of the water cycle, embryology, geology and cosmology; historical facts and events; or prophecies. Couldn’t Muhammad have authored it? The Prophet Muhammad (peace be upon him) was known in history to be illiterate; he could not read nor write. He was not educated in any field that could account for neither the scientific and historical accuracy, nor the literary beauty of this magnificent Book. The precision of historical recounts of previous peoples and civilisations mentioned in the Qur’an is also too great to be authored by any man. The most important topic mentioned throughout the Qur’an is the belief in the One, True God. God informs us that He has no partner, no son, no equal, and that none has the right to be worshipped except Him alone. Nothing is comparable to God and none of His creation resembles Him. The Qur’an also rejects the notion of attributing human qualities and limitations to God. Since Allah alone is the only One worthy of worship, false deities and false gods must be rejected. The Qur’an also rejects the notion of attributing divine qualities to anyone or anything other than Allah. In summary, the Qur’an teaches mankind how to worship the One True God, hence fulfilling their true purpose in life, and attaining success in both this world and the next. Don’t you owe it to yourself to at least read this Noble Book?